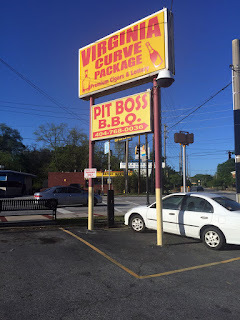 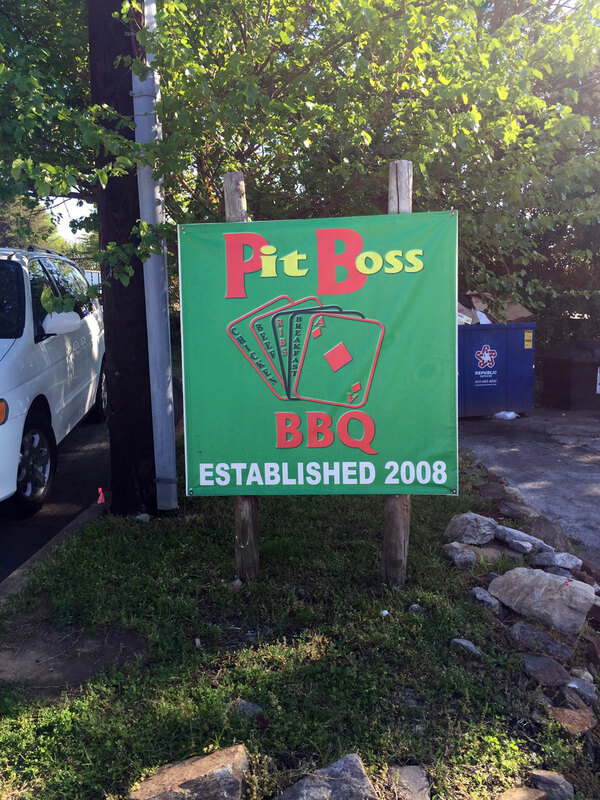 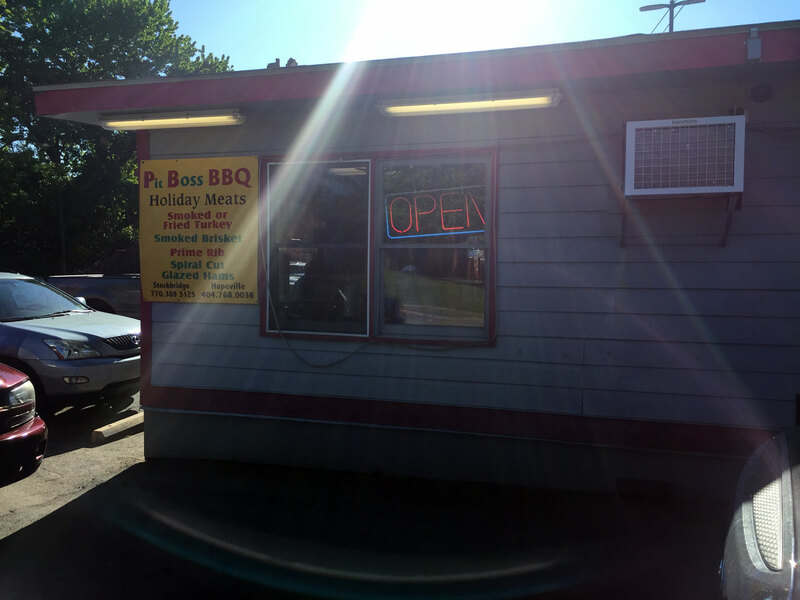 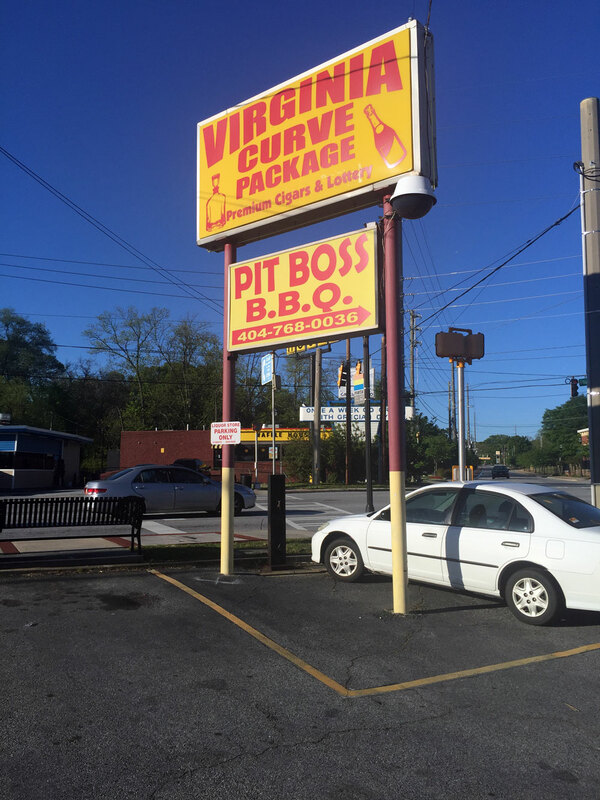 You can find Pit Boss BBQ at 856 Virginia Ave, Hapeville, GA 30354 attached to the back of a liquor store. 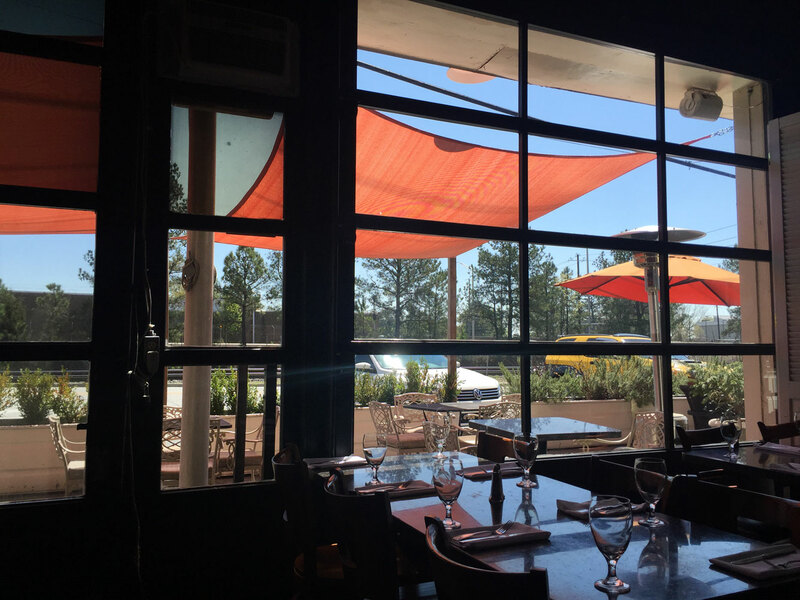 Parking is on primarily on the streets adjacent or you might get lucking and find space on the lot (unlikely during lunch or dinner times). 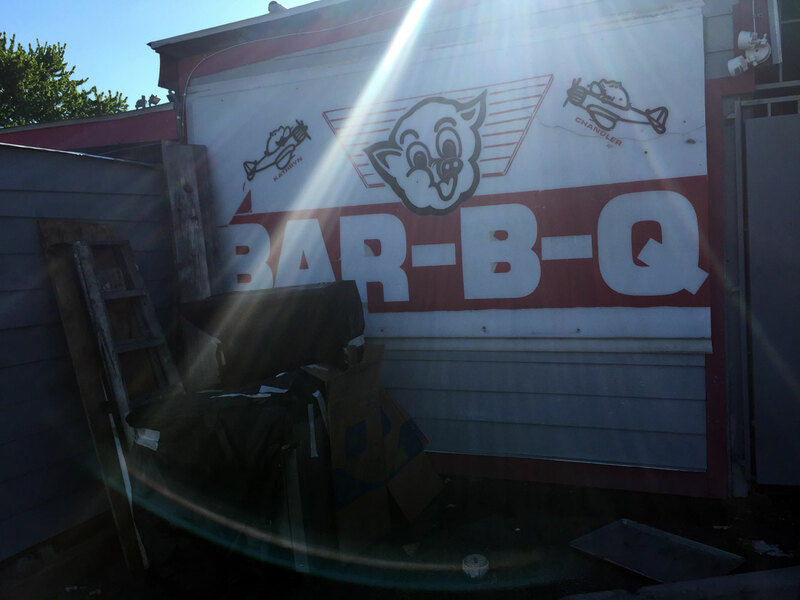 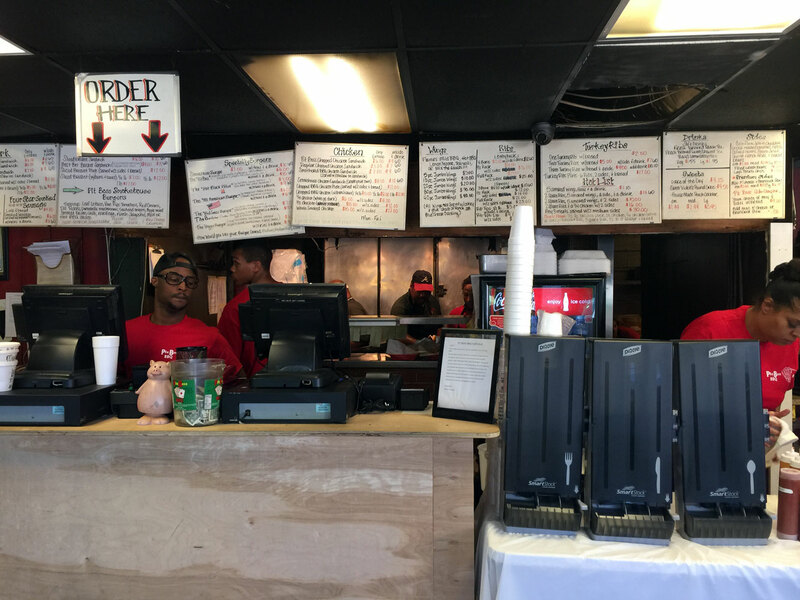 This traditional pit BBQ is a staple for employees at Delta Airlines and a great place to stop after visiting the nearby Arches Brewing - which is what we did. A group of us attended one of Michelle T's great BeerYEs at Arches and there's nothing to help along a beer buzz than traditional BBQ. 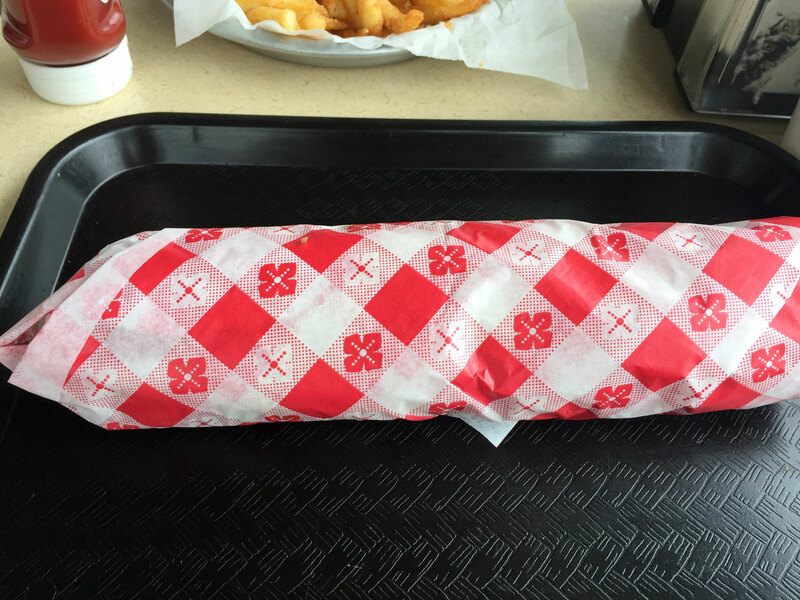 At Pit Boss you order at the counter and they'll call your number. On this late afternoon it was pretty packed but our group still managed to find a table. 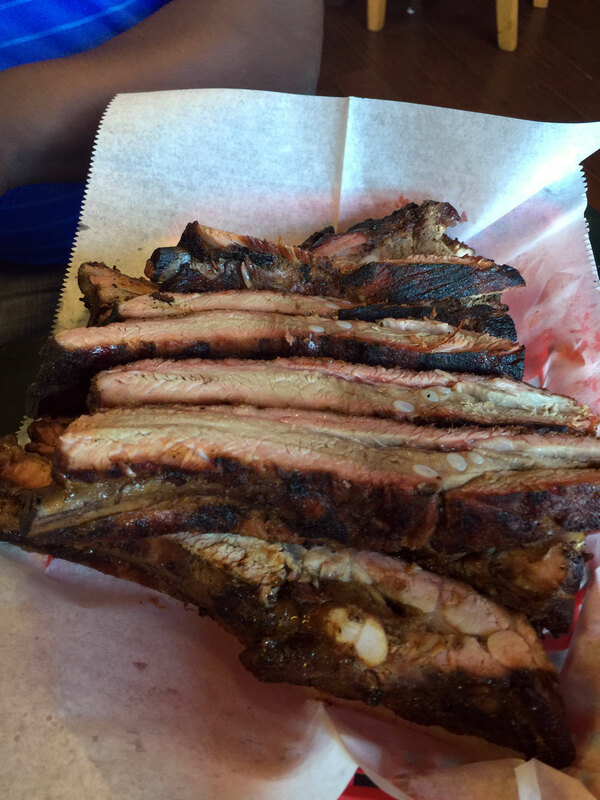 I went all out and ordered a half-rack of pork ribs. 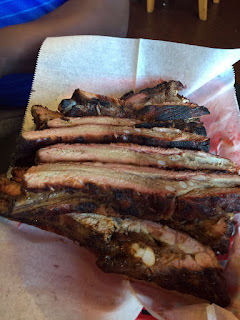 While these didn't have as much smoke rind (the pink color) that I normally look for, the rub was very good and in true southern fashion they were thrown on the grill before serving to give the ribs a bit of char. 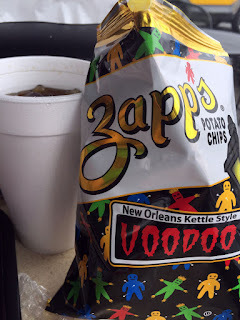 I thought they were quite good - sort of a compromise between smokiness and grilled - they reminded me a bit of Fat Matt's. The half-slab was huge - complete with the little gristle bits on the ends so be aware of those. 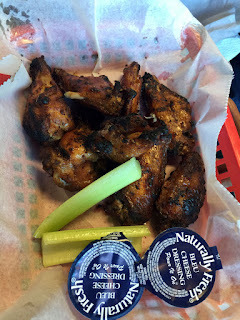 I also tried a wing - these were juicy, smokey and a bit charred like the ribs. I could eat a whole mess of these - it's a far cry from those Buffalo thingies you find at TMacs and similar. 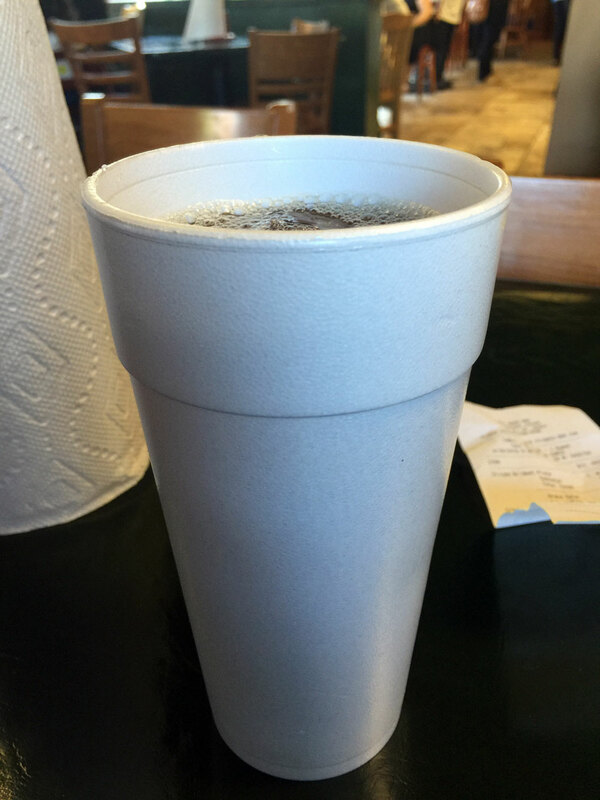 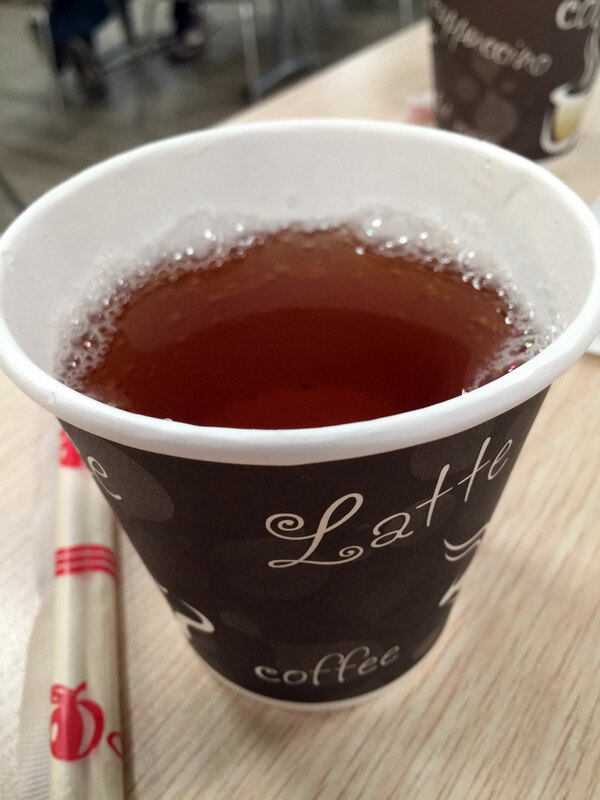 I had ice tea - mixed half-and-half and it was strong and fresh. 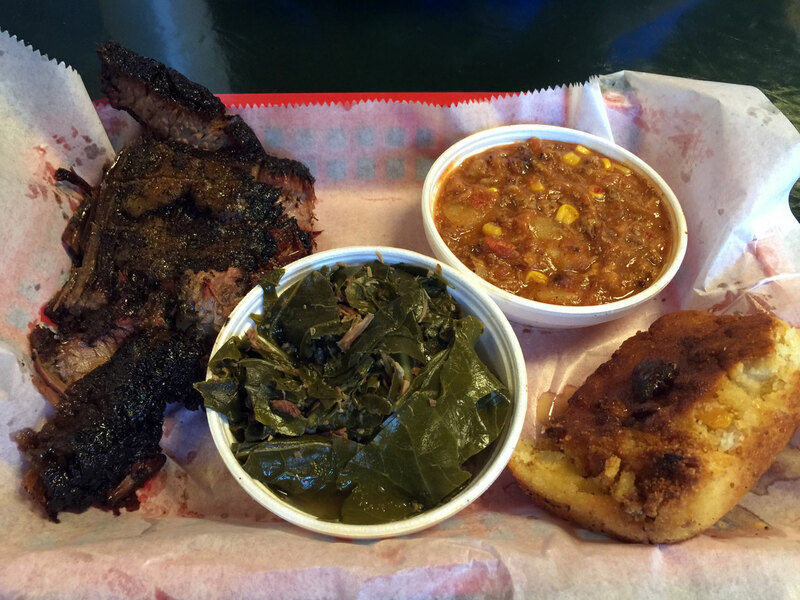 I also tried a bit of beef brisket with collards, brunswick and corny-bread. 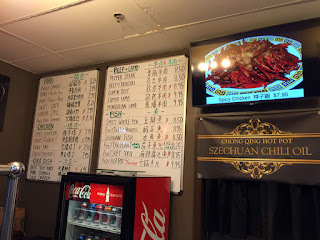 All were quite good - I don't think anyone would find anything here to complain about. 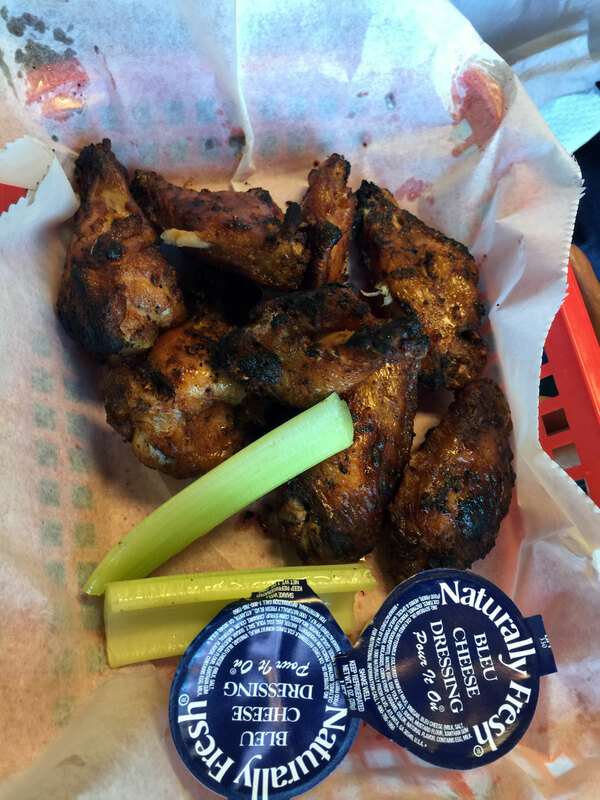 I also liked the sauce that came in bottles on the table. 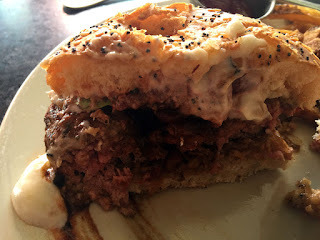 The beans were a bit too canned for me - go for the brunswich instead. 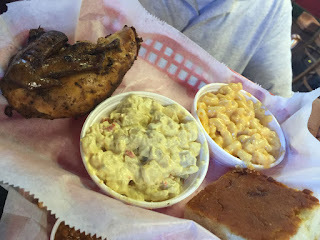 Also I wasn't really a fan of the potato salad (but then again I'm not in general) or the mac-and-cheese. I did like the small piece of BBQ chicken I tried. 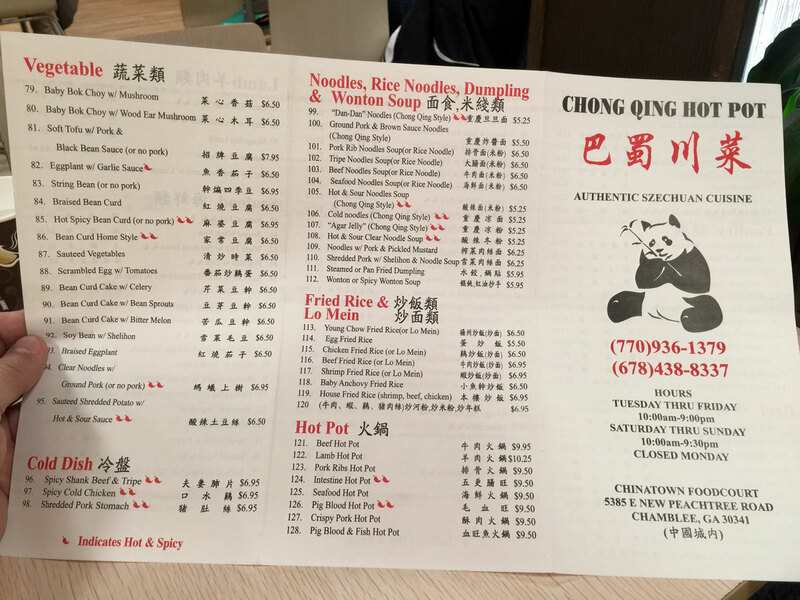 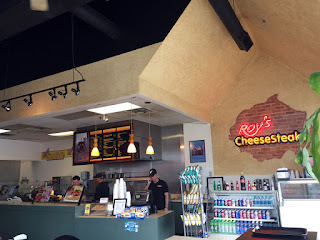 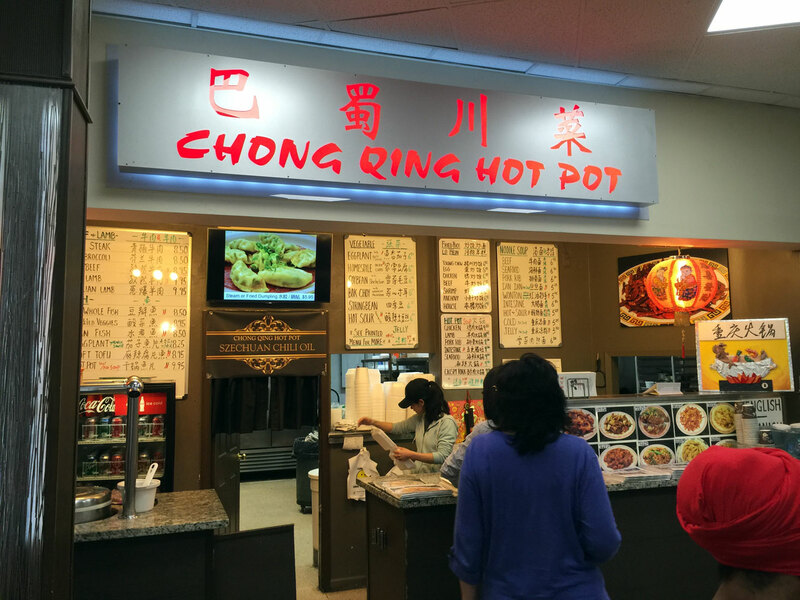 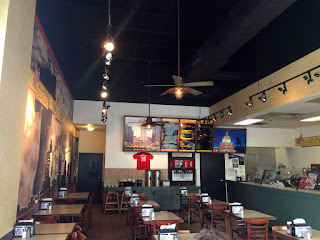 Service was good with very friendly people behind the counter - the entire experience is quite good as dives go and excellent as far as BBQ goes. 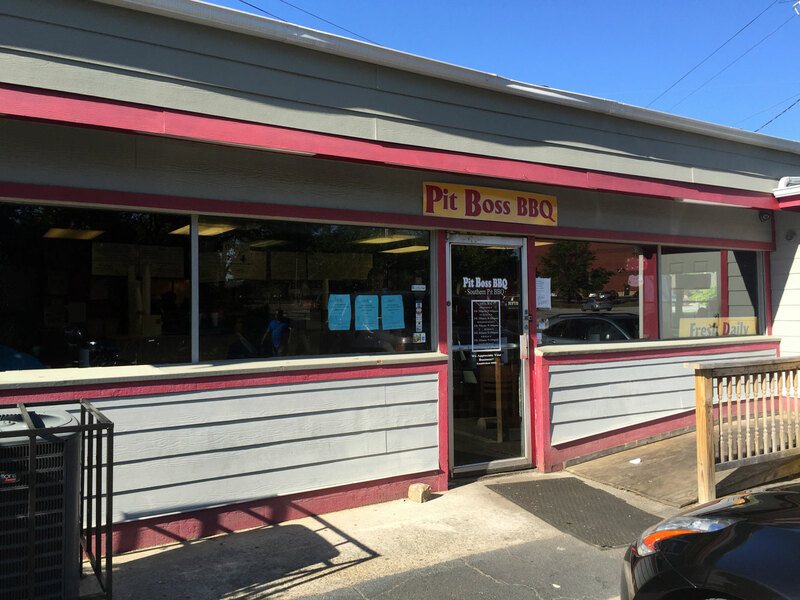 Pit Boss is well worth visiting if you're in the area and now with Arches nearby, why are you waiting? 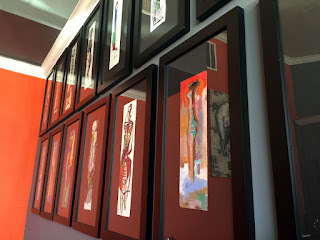 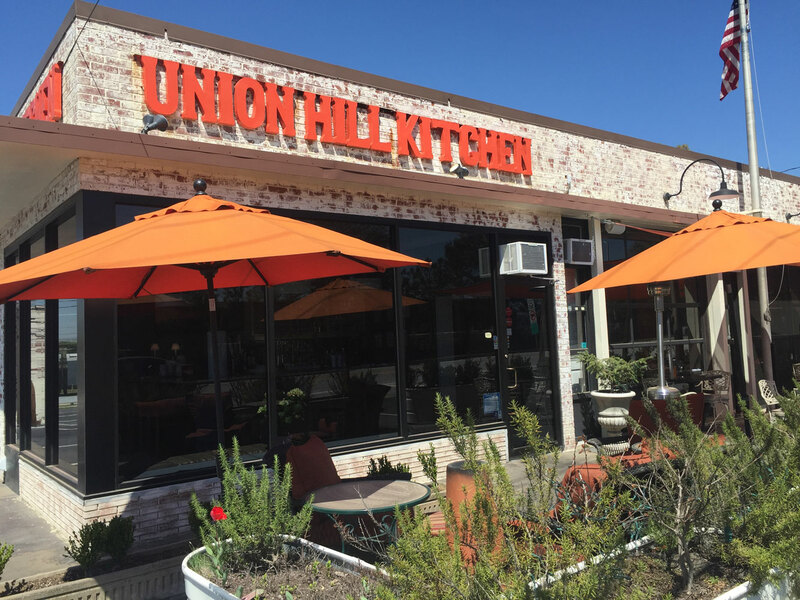 You can find Union Hill Kitchen at 5336 Peachtree Rd, Chamblee, GA 30341 just south of Chamblee City Hall. 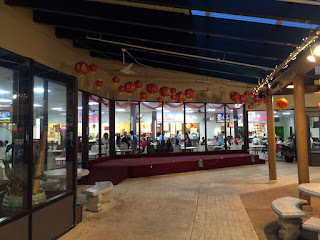 There's limited parking out front and to one side but I think you're better off parking in one of the many spaces that front the rows of shops along this corridor, known more for antique shops and unusual bits-and-bobs. 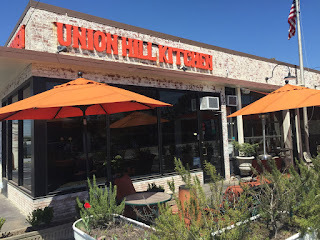 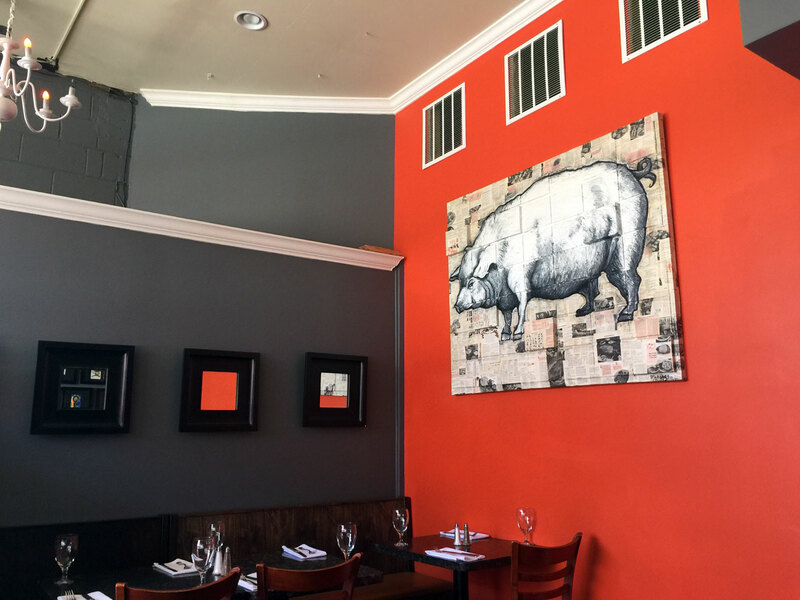 I was on my own one weekday and in the area and wanted to sample a restaurant that I hadn't yet tried - on my bucket list was a long-running comparison of burgers and where Union Hill Kitchen was listed as one worth trying. 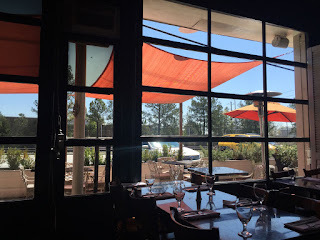 It was a beautiful day in March and seemed to be the perfect occasion, so I mosied on over - it was post-lunch so no crowd (there may have been one table in the back) on a Tuesday afternoon about 1:30. 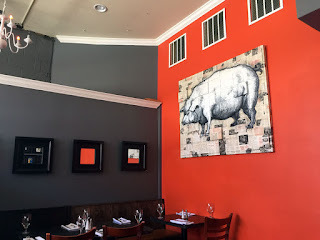 This restaurant has a small footprint with a few tables out front - if you're thinking about an evening visit you may want to call ahead - I can see Union Hill being quite busy, especially on the weekends. The interior is done a bit upscale with a few industrial touches. 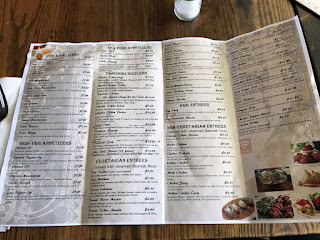 The lunch menu contained more than I expected for the size of the restaurant and corresponding kitchen including Favorites, Salads, Lunch Burgers & Sandwiches, Chef's BIG plates for lunch and Sides. 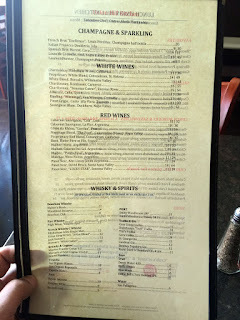 The obverse featured Champagne & Sparkling, White Wines, Red Wines and a small section of Whisky & Spirits. 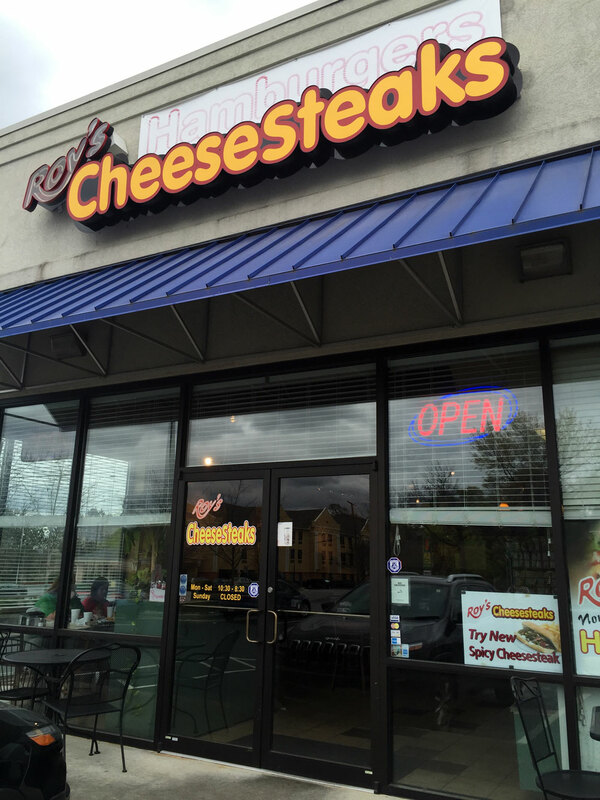 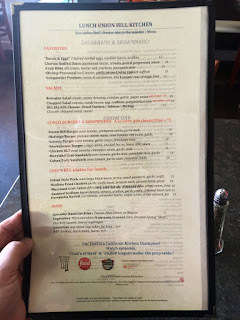 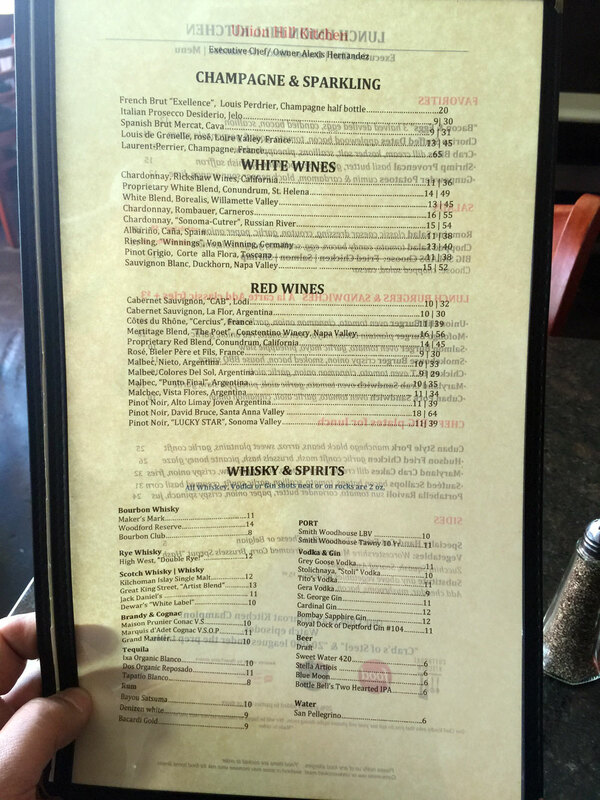 I came here specifically for the burger so I stayed focused, but there were a few things that looked interesting including the Crab bites and Gunpowder Potatoes on the Favorites menu and the Maryland Crab Cakes and Portabella Ravioli on the BIG plates menu. 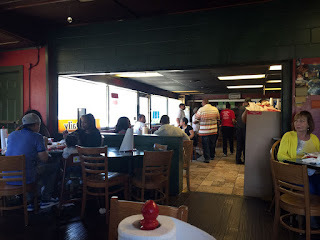 Once seated it took a while for someone to come by and take my order - it was just prior to the restaurant closing for lunch service at 2:30 so I'm guessing everyone was finishing up side-work. 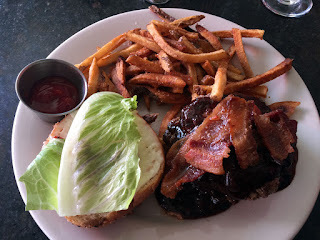 I ordered the Smokehouse Burger - crispy onion, smoked bacon, house BBQ sauce with a side of Handcut Fries. 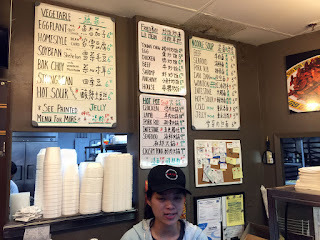 The food took about 15 minutes or so so which I didn't expect - actually after it taking so long to get someone to take my order I expected it to take much longer so I was happy. 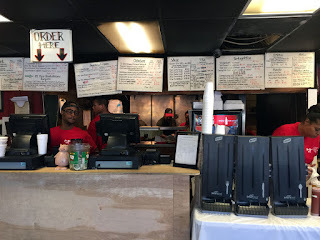 The burger is a thick-cut burger instead of those twin patties popularized by Holeman-and-Finch - I do love that burger but it's rare than anyone can do those right (Grindhouse is the best in my opinion after H&F but I digress). 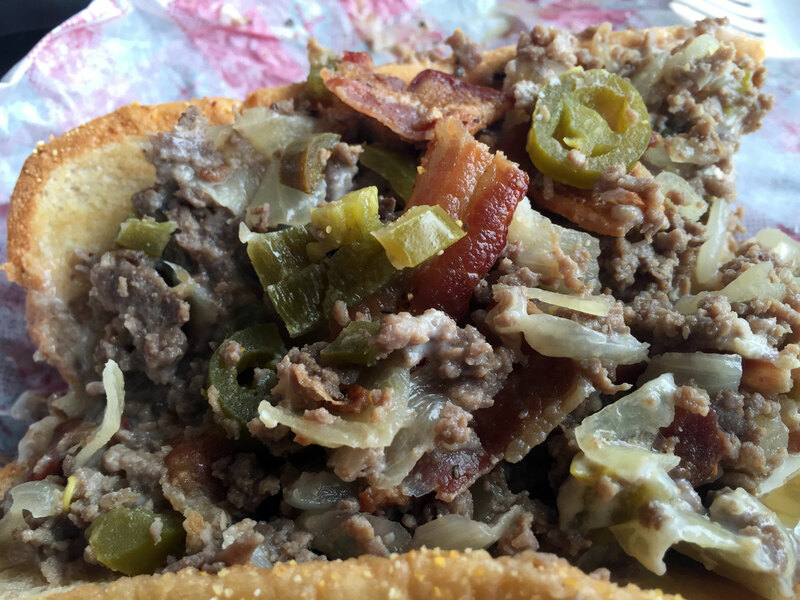 Point is, I think the single think patty is much better than the dual-singles (the dualies is more about thee melted cheese while the single think provides more of the taste of the meat itself and for me, it's the meat that's most important). This burger, in a word, is about perfect cooked a true medium-to-medium rare. 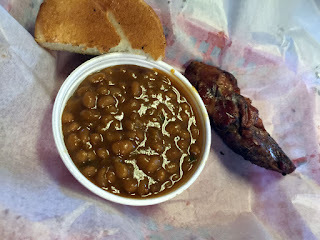 The bacon super crisp and very smokey and the BBQ sauce obviously house made with plenty of smoke and bacon-flavor. 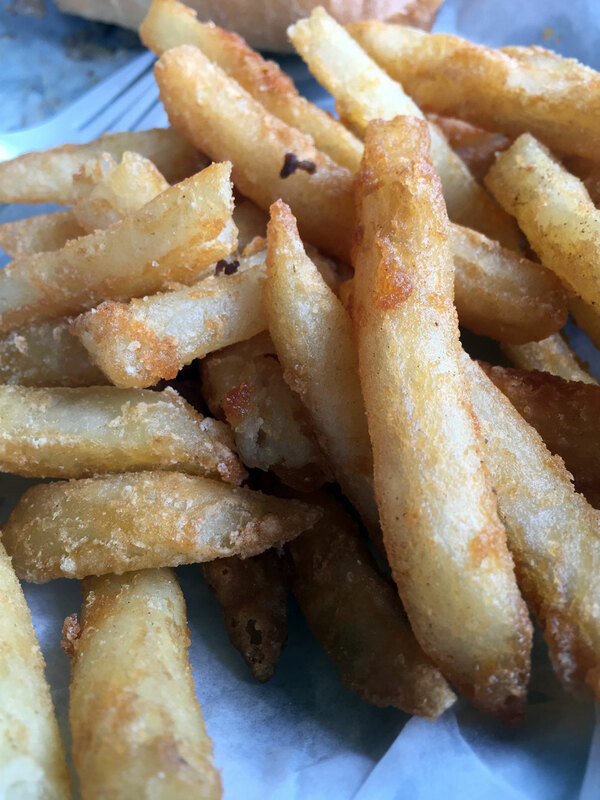 The handcut fires were also perfectly crisp and delicious - I cleaned my plate! 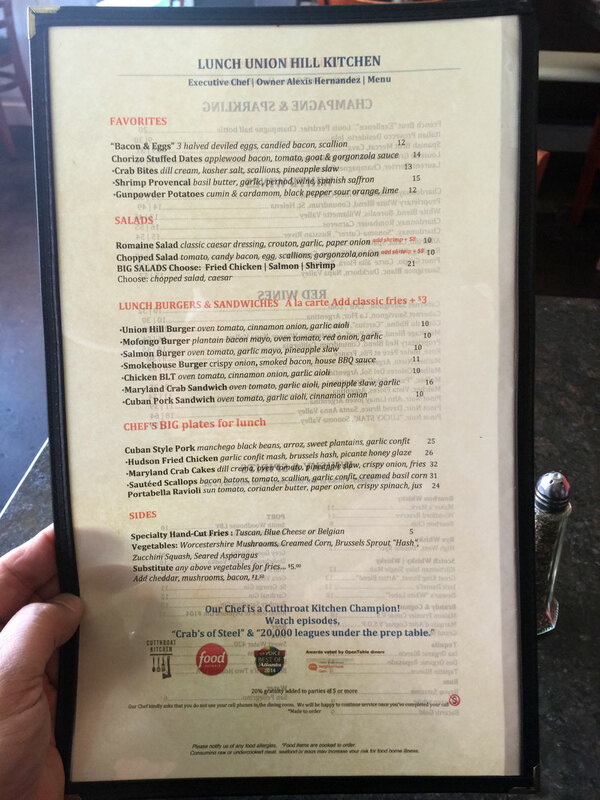 In all I think the meal setting very nice and the burger exceptional. The service was good once I got someone to the table - luckily I wasn't in a hurry. 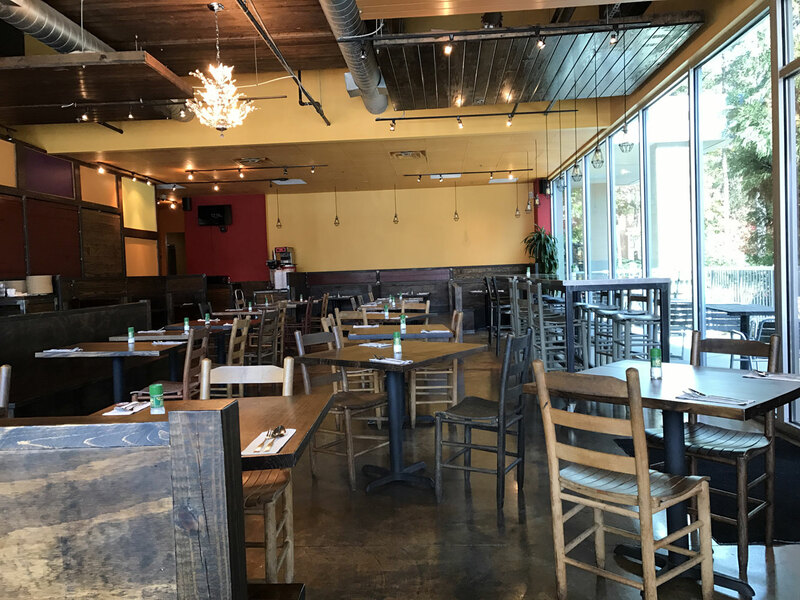 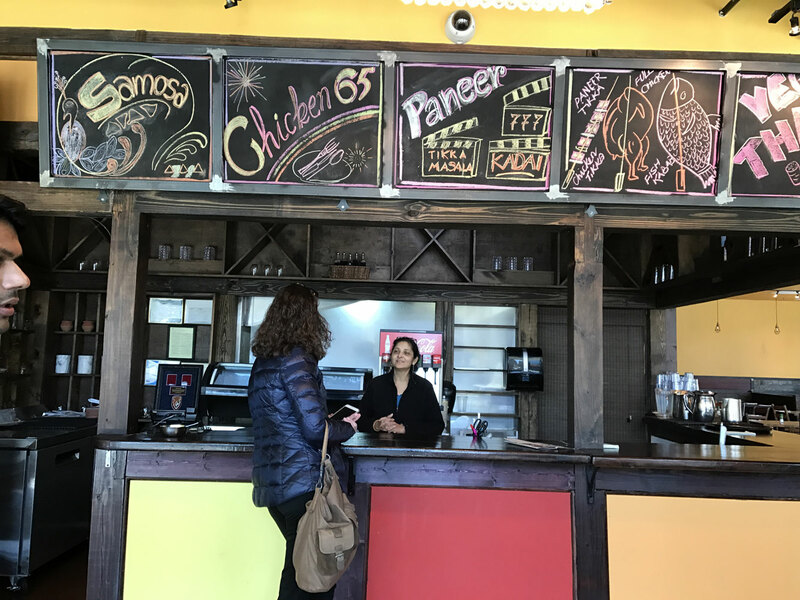 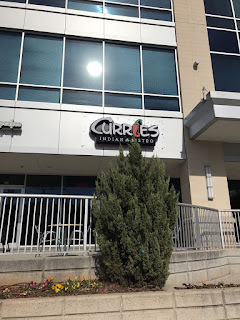 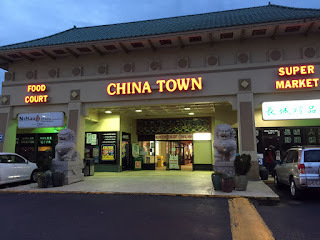 You can find Curries Indian Bistro at 6115 Peachtree Dunwoody Rd, Sandy Springs, GA 30328 - this is the shopping center across from the Publix that also has Uncle Julio's with lots of construction going on (corner of Peachtree Dunwoody and Hammond). Parking is out front and there's plenty, but the lot does get busy so you may have to walk a bit. 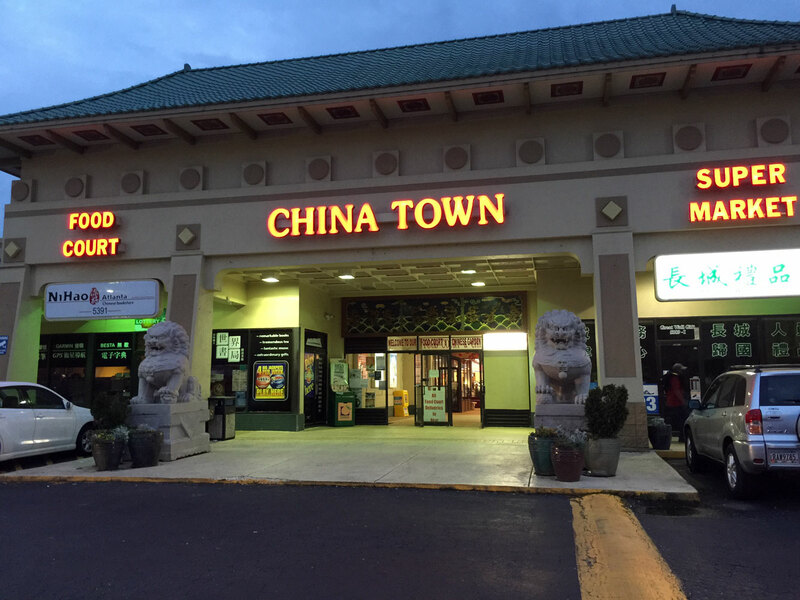 There are also many reserved spaces so be aware of where you park as the tow trucks can be rather aggressive in this area. 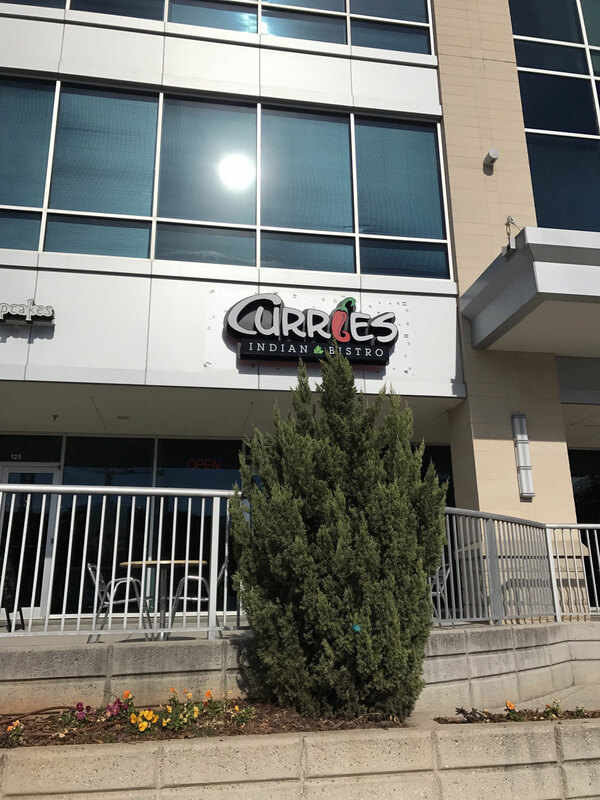 This was the former location of Figo Pasta which I've tried on several occasions - honestly, I'm not very surprised that Figo is gone - I always thought the food and service a bit lacking. 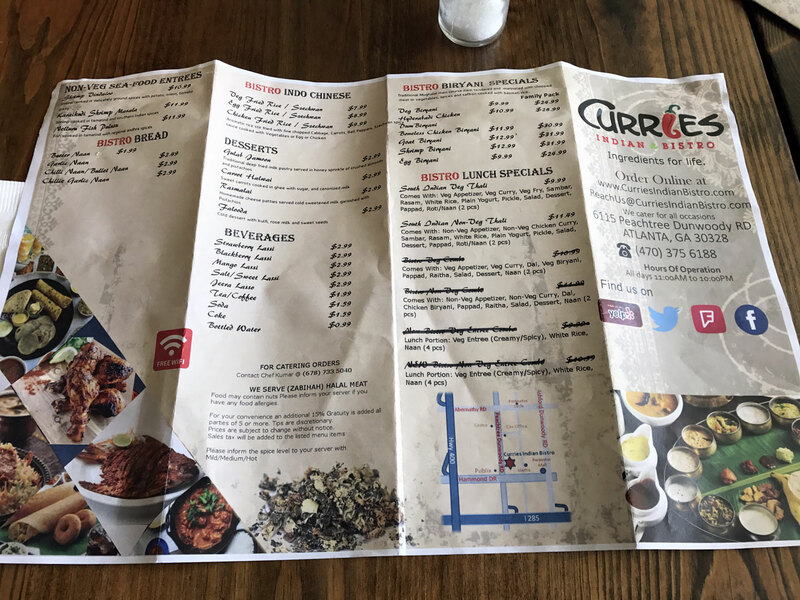 Fortunately Curries Indian Bistro back-filled the space with new things to try - Curries at this point has been opened about a week and was suggested by my friend Sid S (who is featured in many of my reviews and has been a constant lunch and traveling companion as we work in the same group). 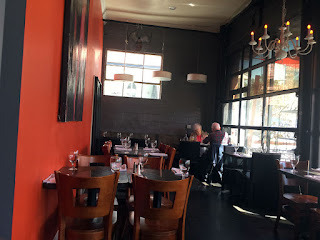 Also included were Arvin R and Greg P who are also in my office and good dining companions.We arrived at lunch to a mostly empty dining room which still have the interior features of the old Figo - a bit industrial but very clean lines, with a touch of Mediterranean that still works with an Indian concept. 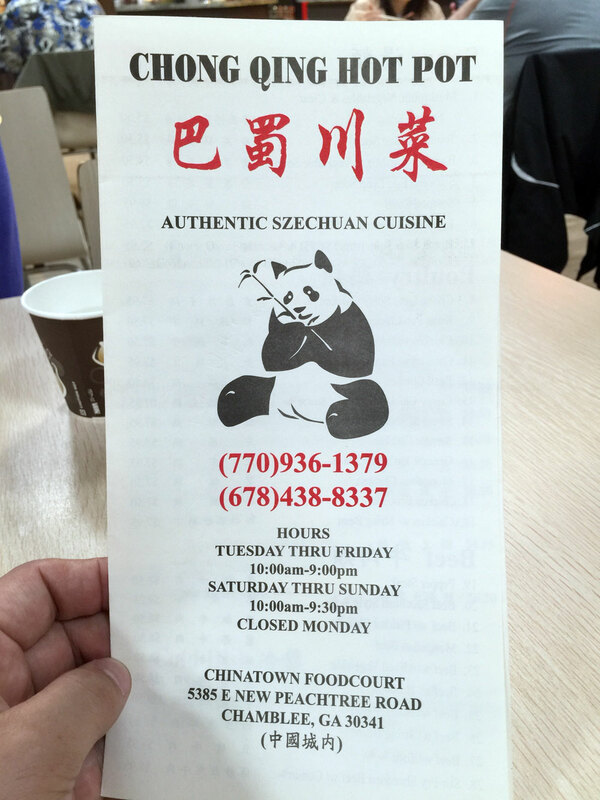 The restaurant is so new that the door still has a paper sign (however the main overhead has been installed). 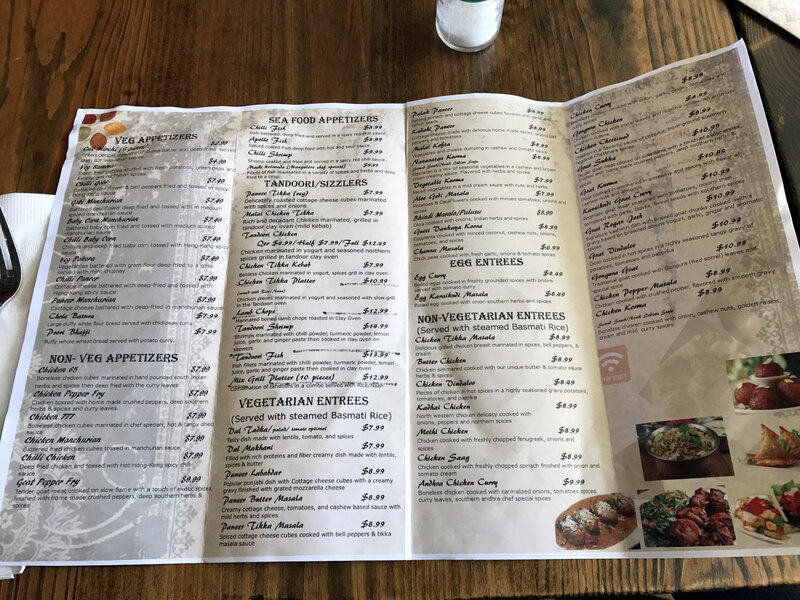 At this point the menu is a quad-folded legal-sized color copy and well laid-out with Veg and Non-Veg Appetizers, Sea Food Appetizers (something you don't often see in Indian concepts), Tandoori/Sizzlers, Vegetarian Entrees, Egg Entrees, Non-Vegetarian Entrees, Non-Veg Sea-Food Entrees, Bistro Bread (and yes they have bullet-naan! 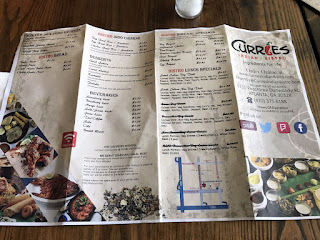 ), Bistro Indo Chinese, Desserts, Beverages, Bistro Biryani Specials and Bistro Lunch Specials (which currently amount to a Veg and Non-Veg South Indian Thali with the rest crossed-out). 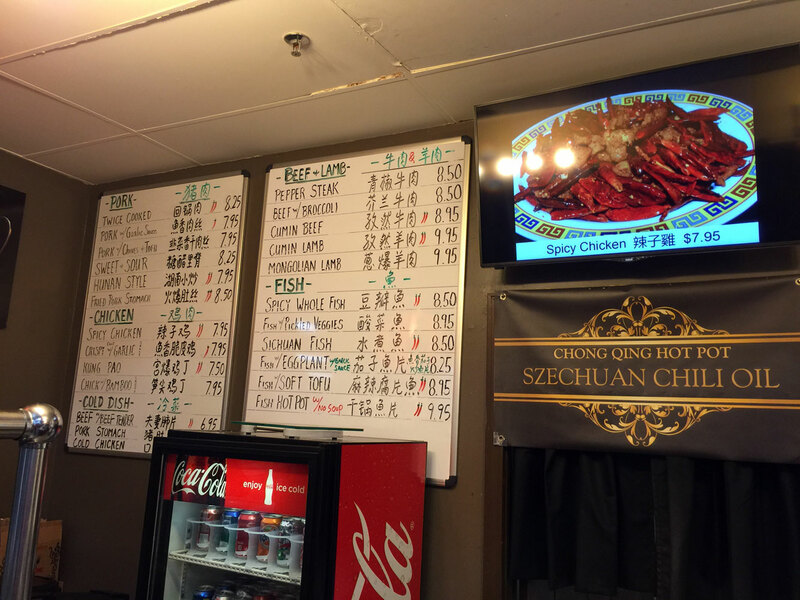 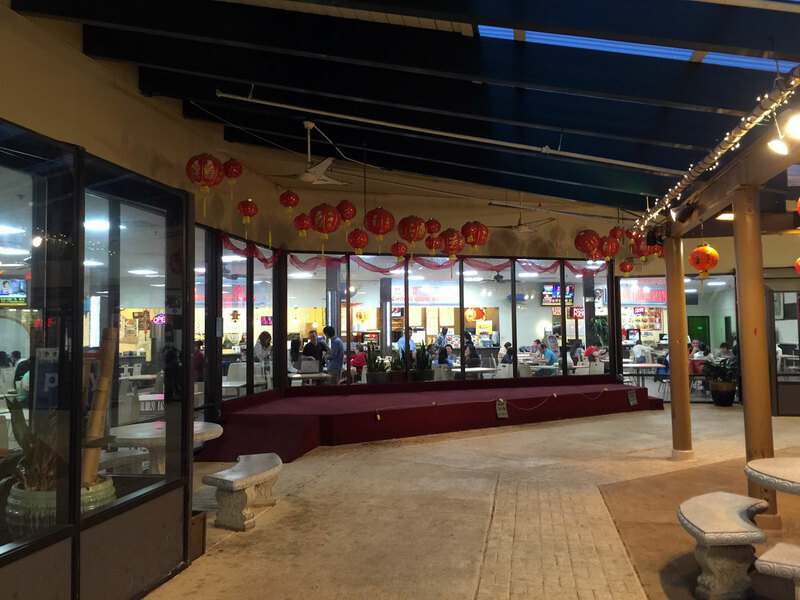 They also market catering, take-out and indicate that they serve (Zabihah) Halal meat. 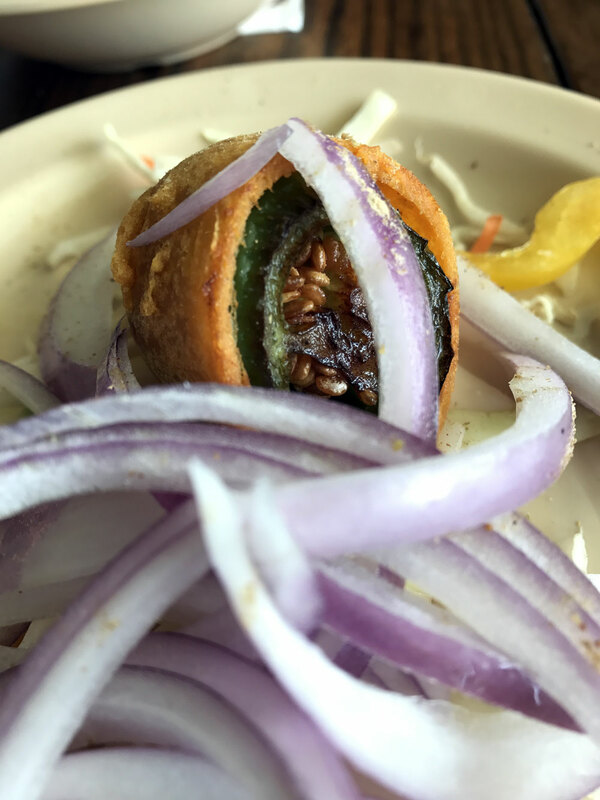 We started with a Cut Mirchi (6 pieces) appetizer - Green pepper dipped in chickpea batter and deep-fried served then cut into small pieces. 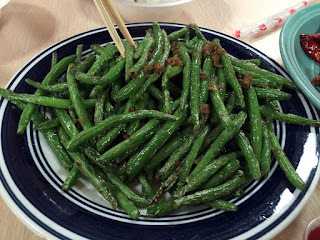 This amounted to two plump green peppers (tasted like jalapeno but may have been something milder as it wasn't very hot) cut into three pieces each. 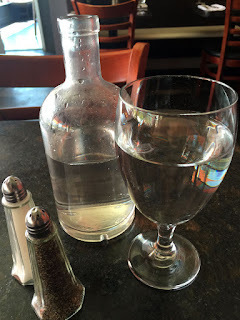 I liked this quite a bit and have enjoyed it as a chat at other restaurants. I thought this good and blazing hot (temperature) and just enough to get things going. Sid went with the lunch special South Indian Veg Thali which included Veg Appetizer, Veg Curry, Veg Fry, Sambar, Rasam, White rice, Plain Yogurn, Pickle, Salad, Dessert, Pappadum and Naan. 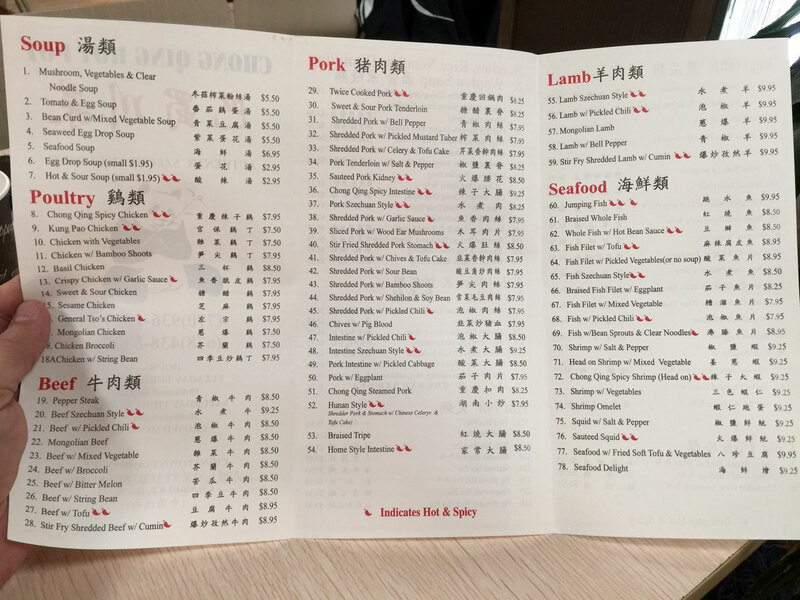 One veg selection used tindoora - this is only the second time I've seen this in Atlanta. 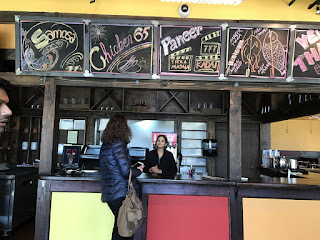 It also had drumstick - not my favorite as I think it's too much effort to eat but still interesting to see it used outside of the sambar. 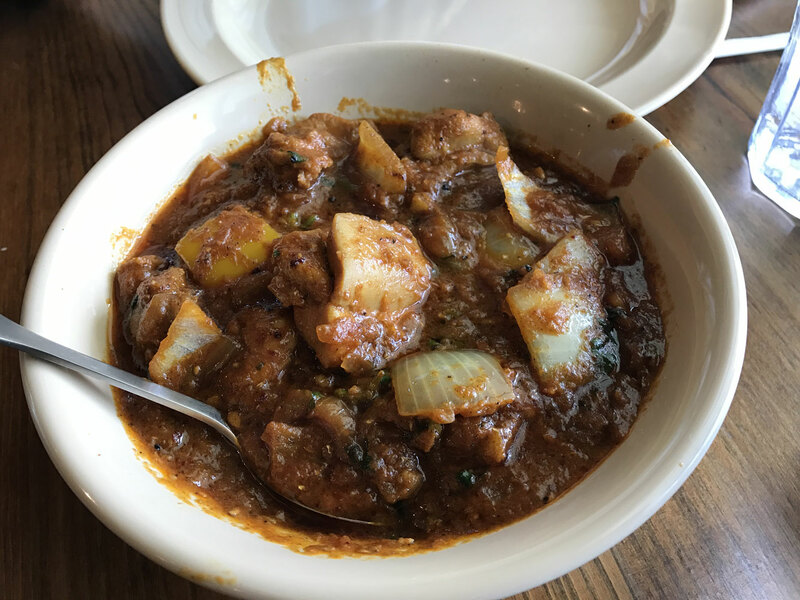 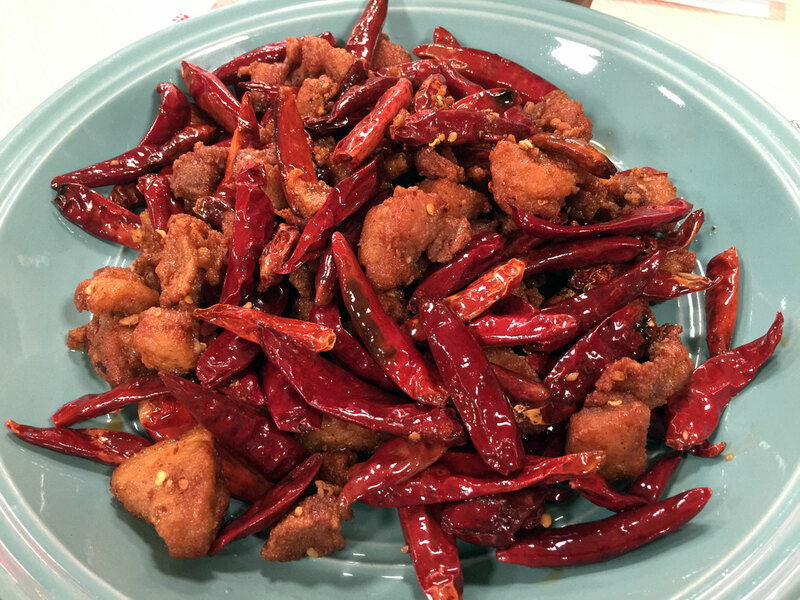 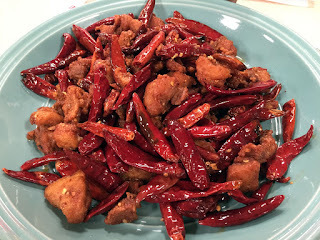 Greg ordered the Kadhai Chicken - North western chicken delicacy cooked with onions, peppers and northern spices. He liked this quite a bit - for me it had a bit of oiliness that you often see with North-Western Indian and Pakistani cuisine - also I tend to stick with the spicier (hotter) dishes and I think I would have gone with the Vindaloo as I like to use it as a measuring stick to compare how the flavors and heat are applied. 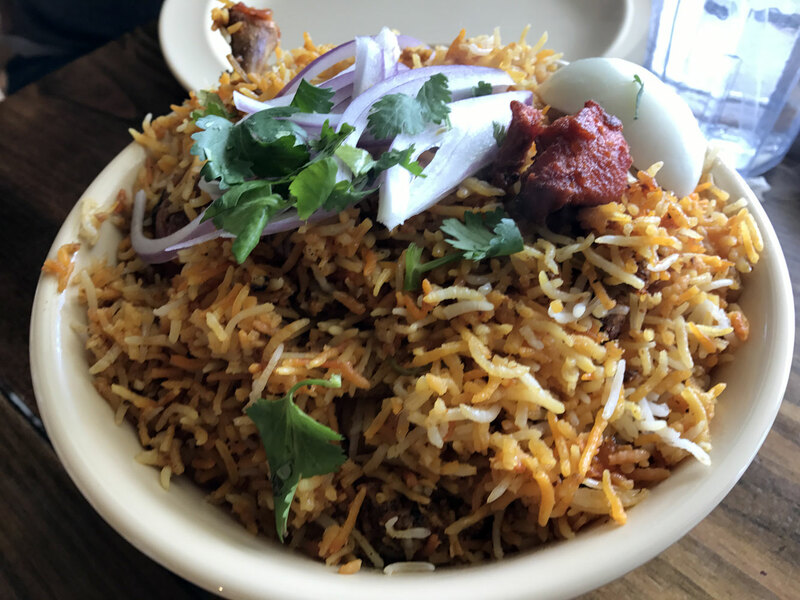 Arvin ordered the Hyderabadi Chicken Biryani - which we both thought very good - the flavors were very distinct and the chicken perfectly melded into the rice - this version was bone-in - they also offer a boneless version. 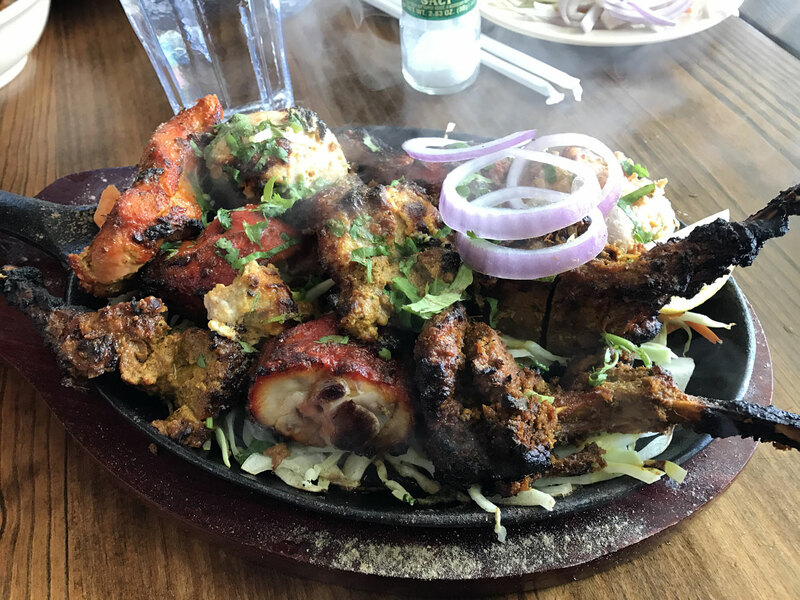 Since everyone seemed to order something that I would probably have ordered, I went with the Tandoori Mix Grill Platter (10 pieces) - combination of tandoori in a combo served with rice/naan. This was just downright delicious with perfectly cooked skewered meat slathered with various curds and spices. 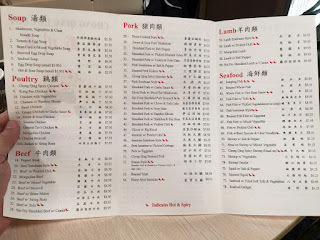 Of particular delight were the lamb chops - everyone who tried these agreed that they were something special and it didn't take me long the finish off the whole pile. 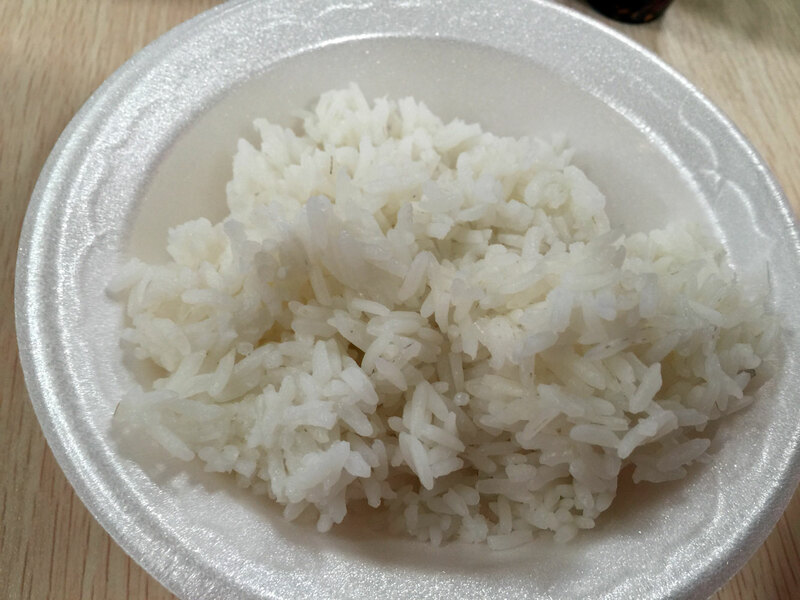 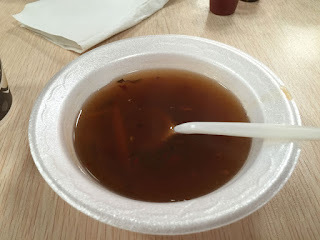 The only negative to the whole experience was the delay in receiving the food - two dishes arrived and it was about five minutes before the next dish, then another few minutes for the final dish - the food was worth it but you might want to distribute the food and expect this to happen. 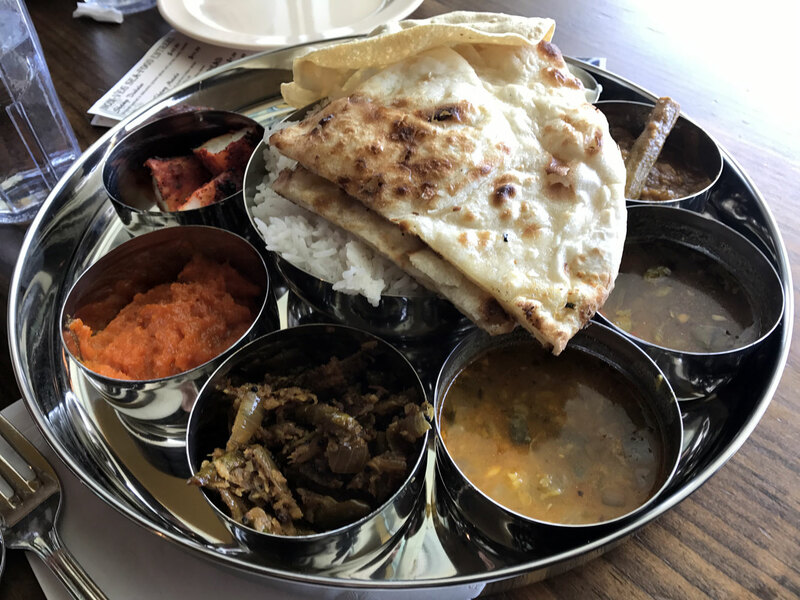 Also, the raita didn't appear until about have the biryani was eaten and the naan that was supposed to come with the Tandoori platter - I had to ask for it a few times. 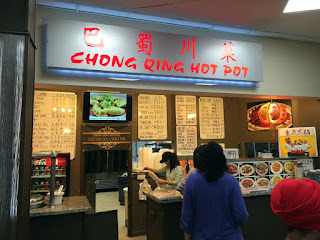 Once it arrived it was piping hot and quite delicious. 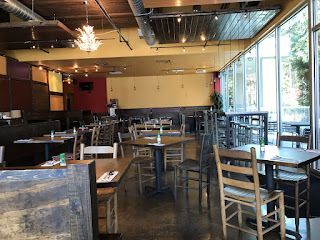 I chalk up this last to the restaurant being so new and not quite together as far as service. 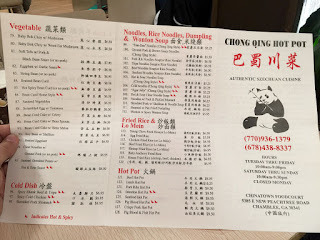 The people here are quite kind and interested in making your meal a success - I think they need a little time to get the formula right but for only being opened a week I think they are doing well.